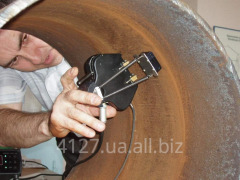 Devices of quality control of surfaces of gas pipelines. Miniprofilometers, diaprofilometra, diatverdoprofilometra. Development, production.